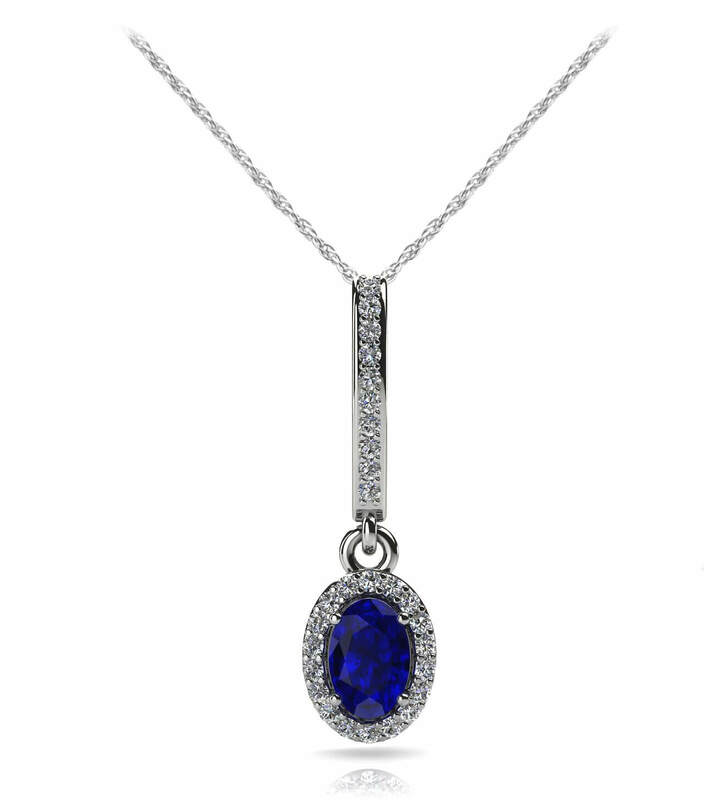 This elegant gemstone and diamond pendant necklace is available in gold or platinum and choice of three total carat sizes. 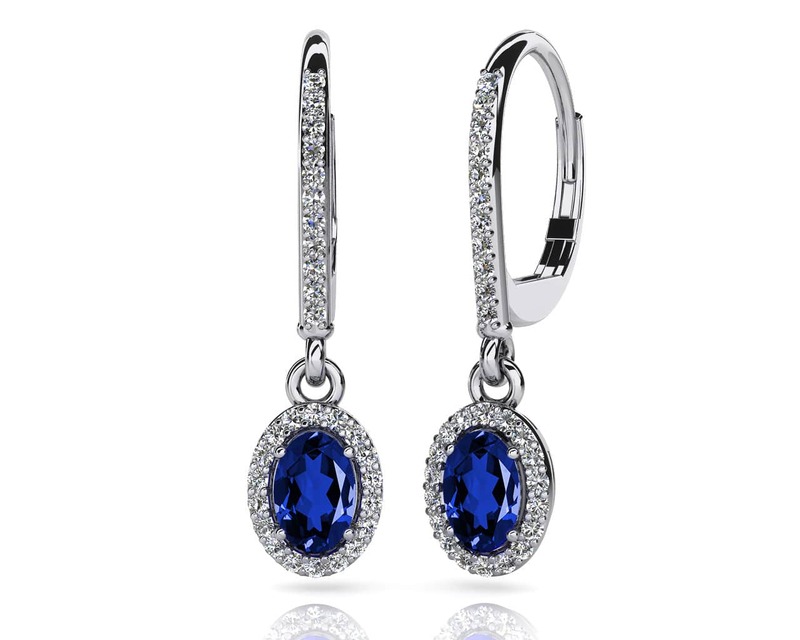 You’ll love how the diamonds set along the front side of the hoop and around the gemstone dangling below add sparkle to this beautiful design. Comes with a matching chain in 16”, 17” or 18” length. Customize with your favorite oval shaped gemstone to create the perfect pendant! Stone Carat Weight: 25X0.005 ct., 1X0.330 ct.